Being a student with The Open University entails masses of work behind the scenes which people tend not to realise, and although I had thoroughly investigated this beforehand, it definitely took me by complete surprise. 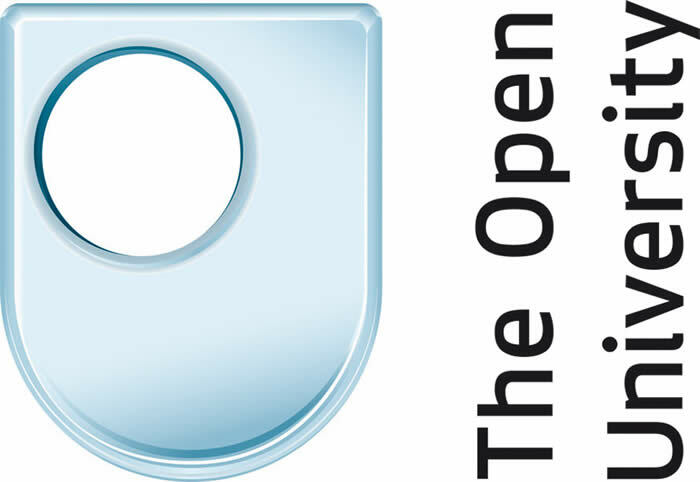 I have had conversations with several people regarding my decision to become a member of The Open University, especially when I first came upon the decision during the end of my Sixth Form life. Many of my friends were planning on attending “brick” universities – I was over the moon for them, but this just wasn’t the pathway I wanted for my life and my career. As a matter of fact, I didn’t actually know what I wanted until I began my studies in October 2015. Some may say at nearly 19 years of age, this is rather late in your academic life to begin thinking about possible career paths, and it wasn’t as though I hadn’t thought about them, in comparison to, I hadn’t decided on which path was most suited to me. Honestly, I can’t imagine a university, better equipped than The Open University to fulfil my definitions. If this is the case however, then why do I (and many other OU students), still get plagued with the same questions regarding its authenticity as a place of higher education? The answer is simple: STEROTYPES. Before I had established an opinion or an understanding of what The Open University entails, I sat on this high-horse of judgement, creating a personal stereotype about how this type of distance-learning works. It’s bound to be easier right? WRONG. Now-a-days, I think it’s wrong to assume that the only way to carve a successful career for yourself is in the shape of these “brick” universities who have specialised tutors, guidance in the form of lectures and end-of-year examinations. Not forgetting the prestigious status of being a member of “The University of….”. 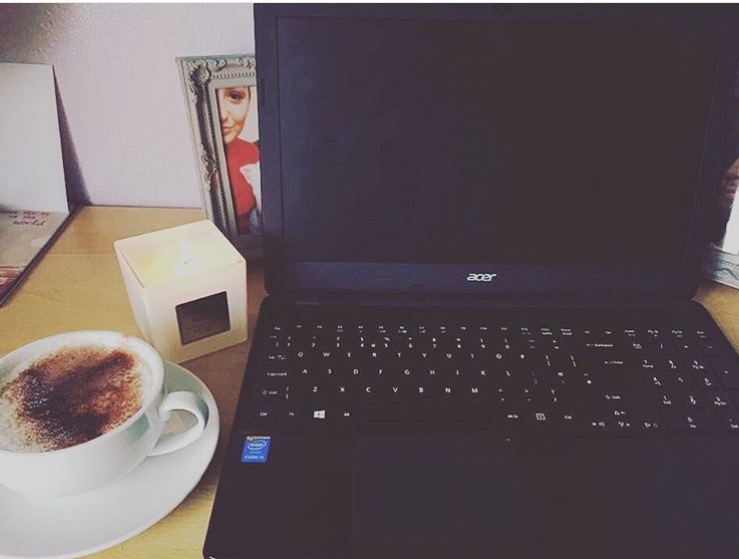 Suffering with anxiety, I did look into attending a ‘normal’ university before coming to the realisation that it just wasn’t for me – attending lectures for hours at a time, each and every day, was not something I could have managed at that time in my life. If I’m brutally honest, YES, I did believe The Open University would be the ‘easy option’ of achieving a degree – something which I soon realised would not be the case. I am enrolled on 2 modules currently - each module lasts about 6 months (AA100 & A105 will make up YEAR 1). Combining both these modules, I have a total of 10 books, all with corresponding Audio CD/DVD’s. This breaks down into 41 chapters of reading, with an additional 7 set books. All this work, including 14 assignments and 1 exam, in less than 12 months. Not to mention the fact it is completely independent, with little help from your assigned tutor unless you request it. An Open University student, compared to a “brick” university student, has the struggle of teaching themselves the entire module. We have the challenge of having little direct tutor contact, unless we decide to email or call for help. This means as a student, we have to unravel any mis-understandings ourselves, or through a forum pathway. We have tutorials at our local university campuses about once a month (some modules may have only 3 a year) where we are taught specific pieces of module material to aid our knowledge. On the other hand, a “brick” university have constant teaching lectures to help with their studies. It’s a challenging process, but one that I am very glad I have taken. The main point of this blog post, is as the title suggests – a chance to break the stereotypes that seem to be connected to the OU. I have met some of the most hard-working, diligent and conscientious people through my studies, who have come across challenges and pushed through them. Yet we are still classed as the lazy university. Trust me, we are anything but. Excellent! I totally agree. Also, it's open for everyone. My 25 year old daughter is in her 5th year whereas, I'm 62 and in my first year. OU doesn't discriminate in any way; age, background, nationality, gender, disability etc. It's great! Thank you! Of course I will! It's actually harder doing the OU route. Who else is mad enough (speaking of myself as an example) to work full-time long shifts then spend all 'spare' time studying, researching, planning and writing assignments, that's without taking care of families and other things you have to do when grown up, and (according to the module) exams/projects/end of course assignments. You have to be self-disciplined and you don't have the lectures fed to you as you do at a brick uni. You can't elbow your student neighbour to say 'Am I doing this right?' because you are doing it at home. There are still interactive activities to achieve grades, eg wiki contributions, yet effectively you are on your own. You need the support of family and friends because it's hard. Unless they have done OU themselves they will never ever understand the hard work and long hours and difficulties doing the work. Many people think you just do the essays in your own time whenever you get round to it, they don't realise that actually there are deadlines, and not only do you have to study and carry out study activities eg online but the assignments are once a month, and it takes more than a day or two to do them. It's hard work but hugely interesting,and develops you as a person; then the excitement comes when your next module is about to arrive and you start again. Interesting blog! I started my first OU course in 1991 at the age of 26 and graduated in 1997 in history subjects. Since then I have studied computing (3 courses just for the hell of it!) and I am currently studying lower intermediate French as part of another degree, having studied 4 other language modules :-). It most certainly isn't the easiest way to study and my partner says it is probably the most difficult way as you don't have the day to day support of regular lectures. However, it is wonderfully flexible and very open in terms of all inclusive so anyone can become a student and your location doesn't matter. I'm now nearly 51 and here I am the embodiment you might say of lifelong learning. This I think is how the Open University saw themself when they started. Not to be a university where people would spend 3 years and never return again but to be a constant partner and educational inspiration through life. It certainly has been for me. Even when I can't afford OU courses (unfortunately when I did my first degree it was part time and no funding was available then and since I have a degree, no funding or loan possible now! ), I will continue to study with the OU through the Open Learn area. I love the fact that younger students are now joining the OU. When I started at 26, I was the youngest in my tutorial group when I started an Arts Foundation course. Good luck in your journey and never let anyone say it is less worthy than a conventional degree. It is worth more because it is harder to do! Hannah, I'm 35 and I've only just started open uni last year with AA100 which I passed. I'm now on A105 so I believe that you're NEVER too old to truly find your path in life. I made a LOT of mistakes in my past but now I'm getting my head down and achieving something in my life! 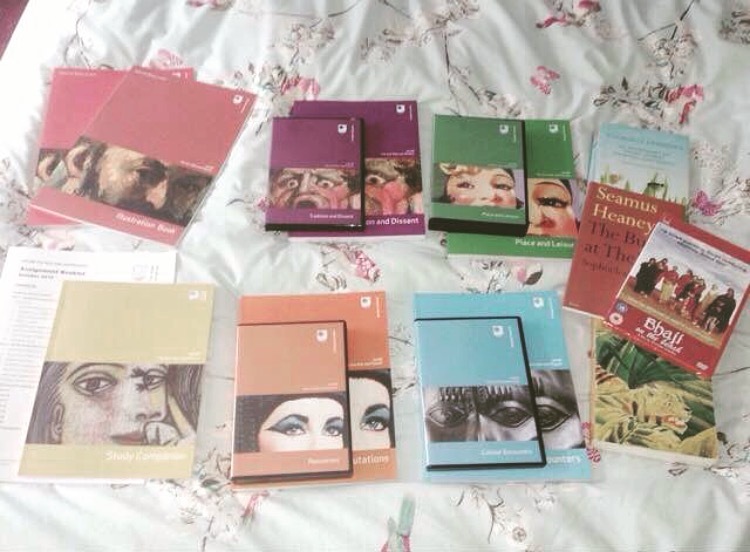 Thank you so much for all your comments - it's been lovely reading your experiences with the OU! Thank you for doing this, trying to explain what the OU is like to my friends who are in a "normal university" takes ages lol.